I think I just accidentally read my first New Adult book? 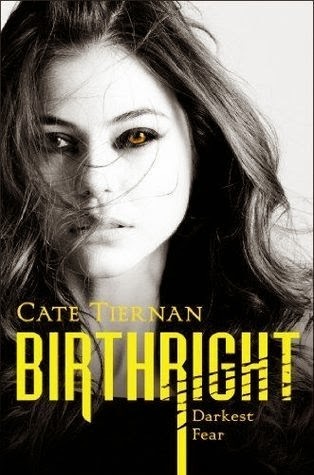 I ended the previous sentence with a question mark because I’m still unsure how to categorize Cate Tiernan’s Darkest Fear, the start of her new Birthright series. It is a shapeshifter (paranormal) fantasy with a protagonist who is in that liminal time between high school and college. Usually I’d say that means it’s YA, but most of the other characters are older than the protagonist. So. I think I may have read a New Adult paranormal. And… it was addictive reading. Darkest Fear was up on the Simon Pulse website as a free read this week (in case you were wondering how to hook me on a book I’ve never heard of before). I started reading the first chapter on the strength of the words ‘shifter fantasy romance,’ and the cover art, which is pretty sweet. From the beginning I felt like I was being towed into the story (and I went willingly!). Tiernan is deft at writing strong emotion, and her portrayal of a scared, lonely and lost Vivi making a new life and dealing with the unknown was more than a touch mesmerizing. That said, I experienced reader’s remorse upon finishing the book. It’s packed with emotion throughout, yes. However, the pace and action pick up in the second half, and by then it was too late for some of the details and world-building I wanted or for wrapping up certain plotlines. *cough*WHAT WAS THAT ROMANCE*cough* Actually, I have a bone to pick with the word ‘romance’ in connection with this book. The actions/emotions having to do with the supposed romantic entanglement(s) never approached healthy, romantic, or even coherent. I get that it’s the first in a series and the author can’t tip her hand on everything right away, but as a reader I have issues being supportive of or even excited about reading the continuation of that (whatever it was) in the next installment. Actually, all of my confusion has to do with the second half of the book, and in particular the final episode. Tiernan placed a completely different kind of action-movie-plot in the middle of what was a slow-moving but intense story of a girl finding herself and making peace with her heritage. I didn’t stop reading, but I did expect an answer or two as to why that happened, and where the story would go in the future. Unfortunately, nothing materialized. I have reading whiplash in the worst way. In all, Darkest Fear is an emotionally intense take on shifter mythology and tradition, but it suffers from uneven plotting and pacing and a weak/unfortunate romantic plotline. I may try skimming book two to see if answers crop up, or I may not! Recommended for: fans of paranormal fantasy and New Adult set in the South, and those who can’t keep their hands to themselves around shifter romance books. Fine Print: I read a copy of this book for free on the Simon Pulse website. I’ve been in a self-proclaimed contemporary reading slump for what feels like AGES. In fact, it has been 13 months (my last contemporary YA read was Marni Bates’ Decked with Holly, which I actively disliked). BUT. 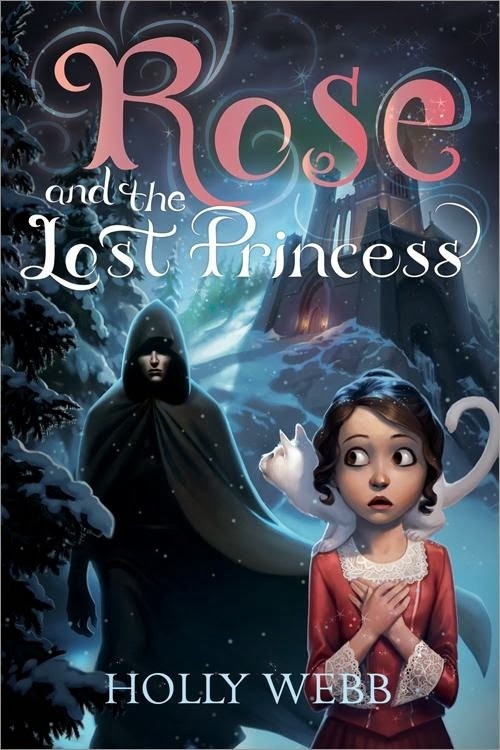 Jennifer E. Smith gets the most gorgeous book covers, and I pay attention to the Amazon Kindle deals each day. Her famous-boy-meets-ordinary-girl romance This Is What Happy Looks Like was on sale earlier this month, so I bought a copy to read ‘someday.’ That day turned out to be last Thursday night. When two strangers accidentally end up in an email conversation about a pet pig named Wilbur, it’s serendipity for both parties. Graham Larkin is an increasingly lonely film star on the edge of the big time. Ellie O’Neill is a small-town girl with family secrets and a bright, impossible future. When their relationship goes from virtual to in-person in a day, they’ll both need to reach outside of their comfort zones to discover if something this impractical can work in real life. It’s been bitterly cold here in DC over the past couple of weeks, and I felt the need for a summery read. This Is What Happy Looks Like is just that – a beach read with a little bit of depth, a lot of cute, set on the coast during the summer months. Ellie is the daughter of a single mother, she's working in an ice cream shop, and she’s into poetry. Graham is a well-adjusted young film star (the most far-fetched part of the plot?!) who doesn’t know where he’s going yet, but he’s miles away from the person his parents want him to be. They’re both endearing characters, and they both need something. Smith just never convinced me that what they needed was each other, especially on such short acquaintance. A portion of the trouble may be laid at the door of insufficient flirting. I wanted to like the characters together, and I expected to swoon at their chemistry. Unfortunately, the book is so brief that flirting (both in email message and in person) is given short shrift. Smith hasn’t written a dawning romance so much as a novel about a girl and her mother negotiating life. In summer. In Maine. With a cute boy on the side. 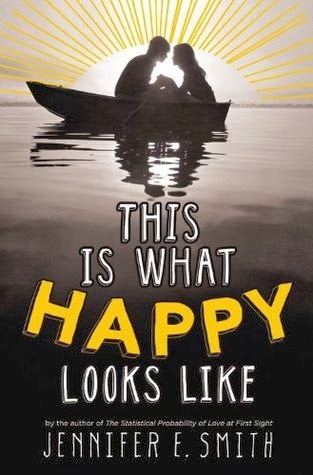 What I’m trying to say is that although it tried, This Is What Happy Looks Like didn’t have the emotional depth of Unbreak My Heart, or the swoon of a great romance. Instead, it had more than a bit of wish fulfillment, a silly setup, and a pet pig that only makes appearances in conversation, not in person. I whiled away a couple of hours with the book, but I was not as charmed as I hoped I’d be. Maybe next time. Recommended for fans of Rachel Hawthorne's Snowed In, Emily Franklin and Brendan Halpin's Jenna & Jonah’s Fauxmance and Claire LaZebnik’s Epic Fail, and those who like light contemporary romances. My mother doesn’t own a KitchenAid (or any brand) stand mixer, so in those formative learn-to-bake years I never knew what I was missing. Heavy cookie batter, mashed potatoes, whipped cream? Just use a little extra ‘elbow grease,’ or an electric beater in a pinch. Then I lived with a roommate who had her own KitchenAid, and my baking life suddenly became an interesting science! It made everything easier. When that roommate married and moved out, I mourned the KitchenAid (laugh if you must! ), all the while dreaming of buying my own. I could never quite justify the expense, though. My 30th birthday rolled around three weeks ago, and I asked some girlfriends to meet me at my favorite restaurant for dinner. What I didn’t know was that my best friend had organized for all of them to pitch in for a KitchenAid. They’d been planning it as a surprise for months. I was not expecting it AT ALL, and I was so shocked and happy that I started crying – see the photos below for evidence. After carefully perusing the instruction manual, I found a new recipe to try to break in the best birthday gift ever. I don’t know if you can tell, but I’m still in awe. Preheat oven to 375 degrees F. Line two baking sheets with parchment paper or foil and spray with baking spray. Blend butter, sugar, eggs and molasses in a large bowl until thoroughly mixed. Sift together the dry ingredients in a separate bowl. Add half of dry ingredient mixture to batter, then add vinegar, and finally add the rest of the dry mixture, mixing well after each addition. If batter seems too moist, place in refrigerator for an hour to set the dough (I did it both ways and there wasn’t a noticeable difference in the end result). 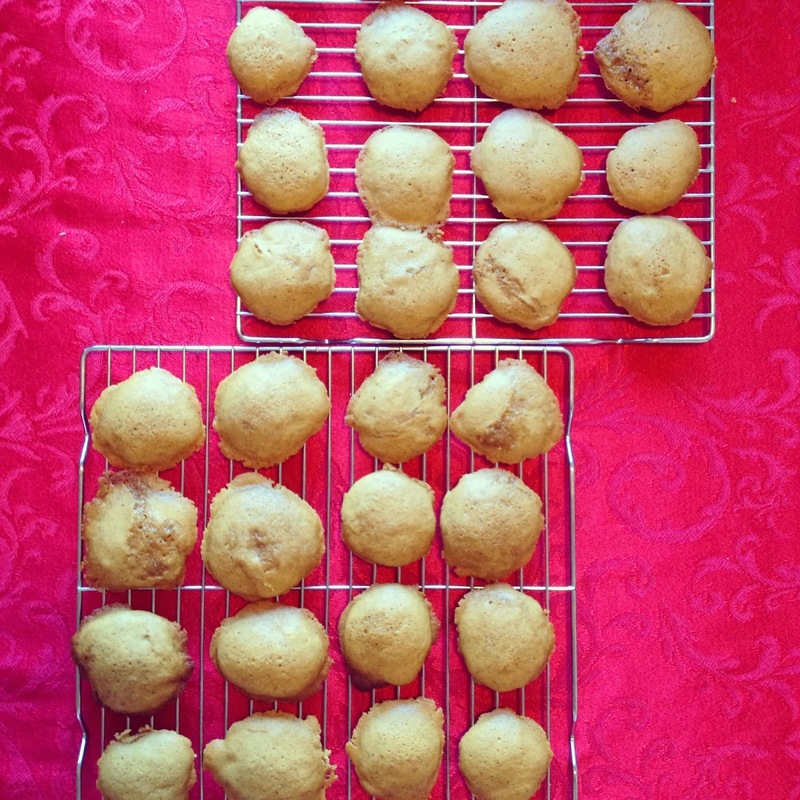 Drop dough by teaspoonfuls onto baking sheets, leaving two inches between each cookie. 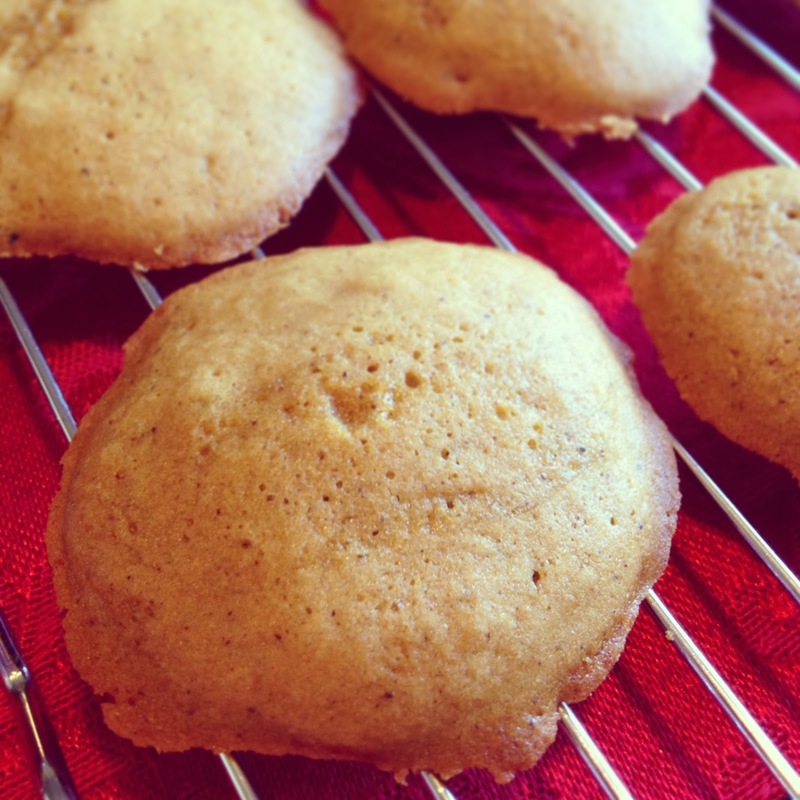 Bake cookies for 8-10 minutes (no imprint should remain when tapped lightly). Remove from oven and then transfer to wire racks to finish cooling. Makes 5-6 dozen cookies. 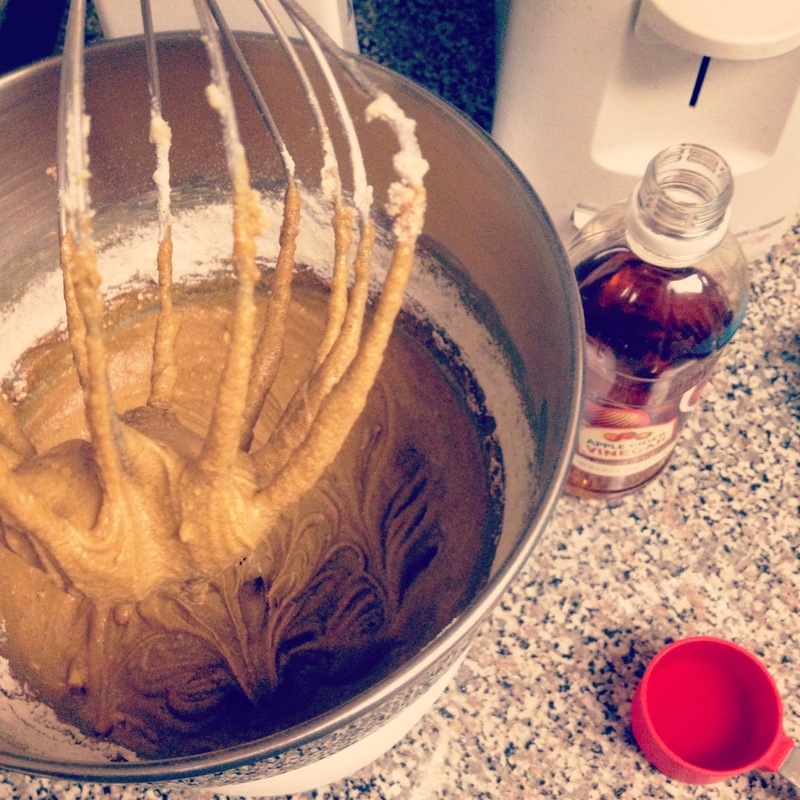 Note: I used the whisk attachment for the dough, and I'm pretty sure it helped the cookies turn out light and cake-y. If I wanted something dense next time (approximating a gingersnap) I'd use the paddle or mix by hand. Also, the original recipe called for shortening and I substituted butter. That probably also had an effect. 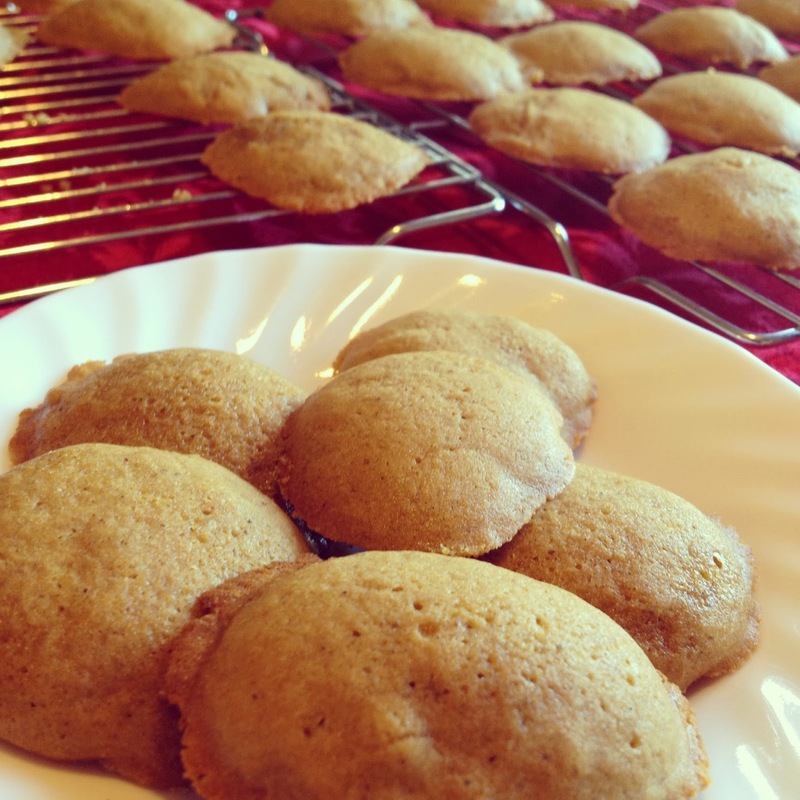 Recommended for: those who like spice cookies and anyone who wants to experiment with an unusual cookie ingredient (apparently this recipe was created for the 1876 Centennial!). It is on days like these, when I’m trying to put together a ‘Best of’ list, that I am beyond grateful for the written record I’ve kept of my favorite books. Dear blog, You are the BEST! Love, Me. That didn’t sound strange, did it?! Oh dear. 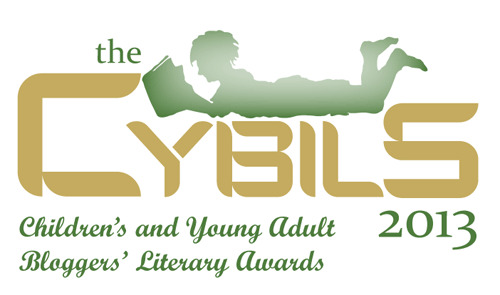 Anyway, this post is a celebration of the best books I read in 2013. The books weren’t necessarily published in 2013, but that’s when I read them (and they’re ordered alphabetically). Feel free to peruse my previous ‘Best of’ posts for 2009, 2010, 2011 and 2012. You can also check out my list of the top ten best new-to-me authors of 2013. 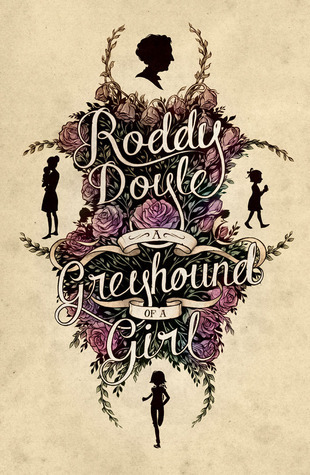 A Greyhound of a Girl by Roddy Doyle – A lovely, haunting little book set in Ireland, about a girl who meets a family ghost. Doyle’s slightly fantastical meditation on family featured the best dialogue I’ve read in a long time, possibly ever. Code Name Verity by Elizabeth Wein – Why can I not think of this book without coming to the brink of tears? Because it’s an emotional, beautiful, and harrowing story of female friendship, flying and spying (in WWII). Lockwood & Co.: The Screaming Staircase by Jonathan Stroud – Scary, clever, and funny: three words that describe this ghostly investigative story. It was also thrilling and can’t-put-it-down good. In other words, close to perfection. The Lost Sun by Tessa Gratton – In an alternate version of North America, the biggest celebrities are the Norse gods. When one of them goes missing, two teens set out on an epic roadtrip. On the way they discover their destiny. Now what about that DOESN’T sound awesome? You’re right, nothing. 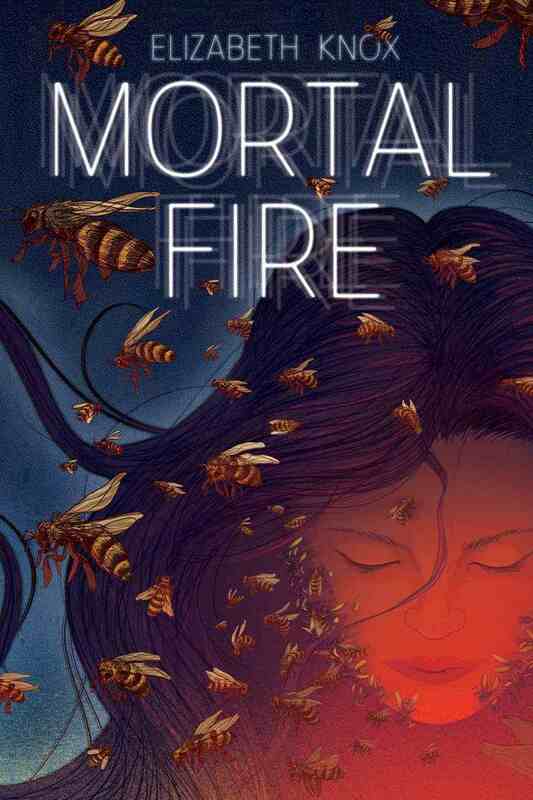 Mortal Fire by Elizabeth Knox – It took me two tries to get into this cerebral fantasy featuring math prodigy Canny, but once in I was absolutely amazed. It was, quite simply, BRILLIANT. Saved by Cake by Marian Keyes – Novelist Marian Keyes’ first cookbook is a darkly funny meditation on cake, depression, and did I mention cake? Laugh out loud fun AND delicious recipes…I really adore that combination. 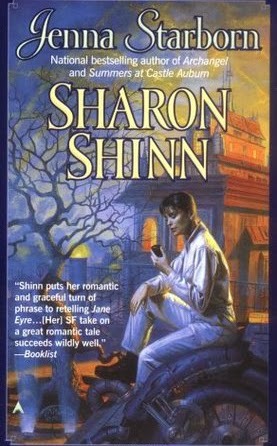 Shards of Honor by Lois McMaster Bujold – This first book in the Vorkosigan saga is a compelling science fiction romance. It’s swoony AND complex, with well-matched characters on a dangerous journey. Heart it! 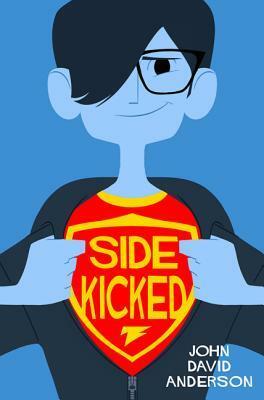 Sidekicked by John David Anderson – Relatable, hyper-aware Drew stars in this nuanced tale of middle school problems, first crushes, and, oh yeah, advanced superhero sidekick training. It’s perfect for young (and not so young) Marvel fans. The Silvered by Tanya Huff – Fantastic world-building and an epic journey through a warring landscape seem to be two of my favorite story components. Add in werewolves and a steampunk aesthetic, and you have one hooked reader, right here. Tooth and Claw by Jo Walton – Think Jane Austen, with dragons. Whatever you’re imagining isn’t even close to the awesome that is Tooth & Claw. I adored it, and have reread it already. Also, many thanks to the lovely Ruby Scarlett, who sent me a new copy to treasure. 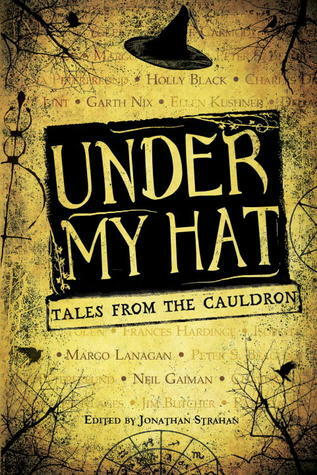 Under My Hat edited by Jonathan Strahan – Short stories of witchy magic by some of my favorite authors, all gathered up in one volume? YES. Strahan put together one of the strongest anthologies I’ve ever read. Written in Red by Anne Bishop – I’ve reread this book twice for a reason. It’s crazy-compelling. I love how Bishop plays with emotion and describes the worlds she writes. Just fantastic. By random chance and coincidence, there were 13 titles on my list for 2013. I did a bit of a breakdown that may appeal to anyone who is a closet numbers nerd like me. 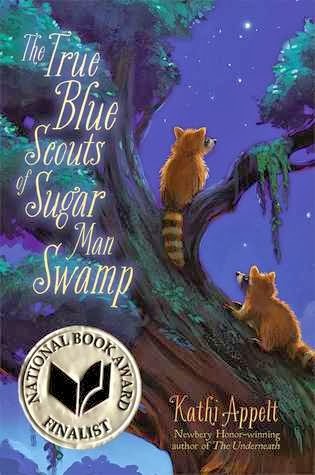 I had 4 middle grade, 4 young adult, and 5 adult books on my list. Twelve were fiction, one was nonfiction. There were 9 female authors, 3 male authors, and one anthology (the editor was male). I also figured out where each of the authors hails from, because I worry that I’m heavily biased towards North America. 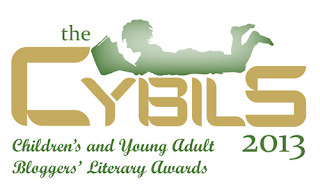 This year my list included 5 books by Americans, 2 by Brits, 2 by Irish authors, 2 by Canadians, 1 by a Kiwi, and 1 various (the anthology again). Fairly well-rounded, I’d say. I need to get an Aussie on the list next year, though! And now the fun part: a giveaway! Two winners will receive their choice of any book from my Best of 2013 list (audiobook and/or ebook editions included, as available). To enter, simply fill out the FORM. Giveaway is open internationally, will end on January 31st at 11:59pm EST. Books will be shipped from Amazon or The Book Depository. Winners will be selected randomly and notified via email. Good luck! 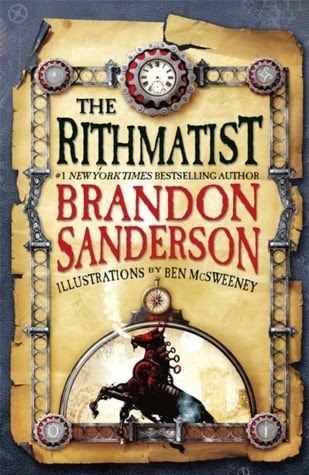 I had never read Brandon Sanderson before I picked up The Rithmatist for CYBILS award consideration. I had heard of him as the author appointed to complete Robert Jordan’s epic Wheel of Time saga (by the by, i got to the sixth book in that series in college, looked up, and realized two weeks had flown by/my grades had slipped. put it down and never picked it up again…), and as such an almost constant presence on Tor.com (go there if you haven’t yet!). I do love a beautifully crafted magical system and superior world-building, so it makes all sorts of sense that I’d fall in love with The Rithmatist and its Chalklings. Which I did. Smart, unique fantasies don’t grow on trees! The world of The Rithmatist is one where flat, 2-dimensional chalk drawings come to life and act on people and things. Only a specific set of people have the power to draw these magical chalk lines, though – Rithmatists. Joel is the son of a chalkmaker, and he always wanted to be a Rithmatist. He even has the mind and skills for it. But he wasn’t chosen. He lives at Armedius, the best school in the American Isles, but he’s so obsessed with Rithmatics that he’s failing classes and headed nowhere fast. Then Rithmatics students start disappearing, with suspected Wild Chalkling involvement. Joel will have to use every ounce of his cleverness and ingenuity to help solve the mystery (and save the day, of course). As mentioned above, the strongest part of this book, by far, is the Rithmatic magic/science system. It’s a combination of geometry, chalk art, and religious experience, and no one is sure exactly how or why it works – or if they do, they’re not telling. Joel is thirsty for knowledge, and it is through his inquisitiveness and academic bent (and location at a school for Rithmatists) that the reader learns about the world. Lest you think that it’s all dry theory, there are exciting duels. Duels with serious consequences for the combatants, as is only fitting for Rithmatists, who each have to complete a 10-year tour of duty in Nebrask (where Wild Chalklings threaten all of North American civilization). It’s part logic, part keeping-cool-in-combat, part talent, and all of it is exhilarating reading. Sanderson’s world-building is also fascinating. He’s constructed an alternate world where the Americas are a collection of islands, only recently populated, and before that mysteriously (sinisterly?) empty. The culture seems to be a mash-up of Asian, European and Egyptian influences, though the characters themselves aren’t particularly diverse. Aside from Rithmatics-mad Joel, the main characters are Melody, a very mediocre student Rithmatist, and the professors and president of Armedius. Sanderson’s writing is strong on world-building, plot and magic, but the characters get shorter shrift. 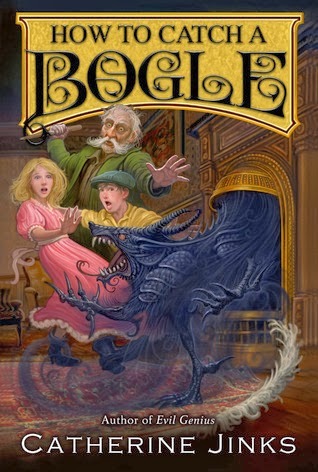 It’s a murder mystery at a boarding school, with magic. For most of the book, that was enough. There were expected twists, and a few unexpected ones, and Joel learned a lesson or two. However, the majority of characters remained static, and their dialogue felt stilted at times. Not weak, but not emotion-packed (which the target audience may have come to expect? or not), either. It was not something that made a difference in MY reading experience, but I noticed it, and other readers (less impressed by the shiny new magic!) may as well. In all, The Rithmatist introduced an exceptional magical system, a smart hero, a nation rife with political tension, and a long-running war. I can’t wait to see what happens next! Recommended for: fans of school-set fantasies and marvelous world-building, those who enjoy(ed) geometry, and anyone interested in a great story with unique dangers and clever, courageous protagonists.